It’s about health in their golden years. 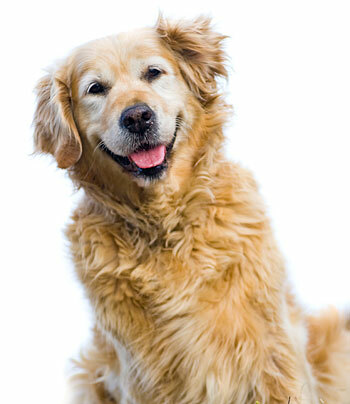 Loyal senior pets deserve the best in veterinary care as they feel and show their age. Acupet Wellness offers compassionate care for older animals. The aims are to minimize the effects of painful conditions related to aging, reduce the occurrence of debilitating disease, and add healthy years to your pet’s life. With quality veterinary care and a focus on healthy lifestyle choices, most pet owners find their old friend is happier, more comfortable, and active for many years. We offer practical approaches to supporting the health and vigor of your aging pet. Together we will create a plan for your pet. Knowing when a pet is “senior” will help you make appropriate changes in diet, exercise and health examination schedules to ensure a long, healthy life. As a general rule, dogs are considered “senior” around age 7. Larger dogs sooner (age 5 or 6), and smaller dogs later (age 8 or 9.) Dogs have such a large variety of breeds and sizes that there isn’t a single age that automatically translates to senior status. Cats are a little different and considered senior by age 11. The most accurate way to plan for your pet’s senior years is to make an appointment with your veterinarian to discuss your specific needs and an age-related plan for optimal health.